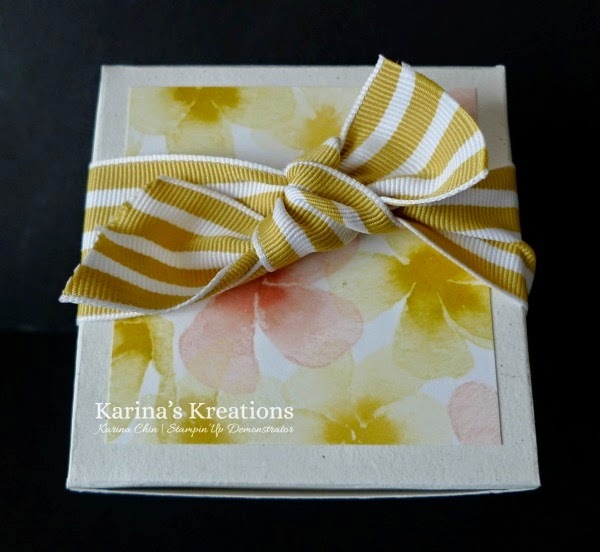 Karina's Kreations: Stampin'Up Pizza Box Video! We made a really fun card at Super Fun Stamp night on Friday! It's was an easel card with a drawer. We didn't have time to make the Pizza box for it to fit in so I promised to make a video for them and here it is. I'll post the instructions for the card tomorrow. 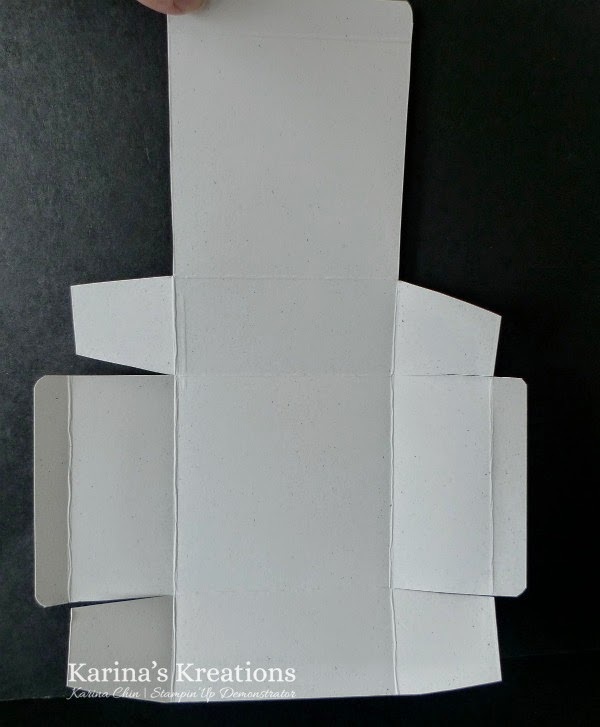 To make your pizza box start with a piece of 7-1/4" x 10" Whisper White Naturals card stock #102316. Yes you need this! Its the perfect weight for boxes. 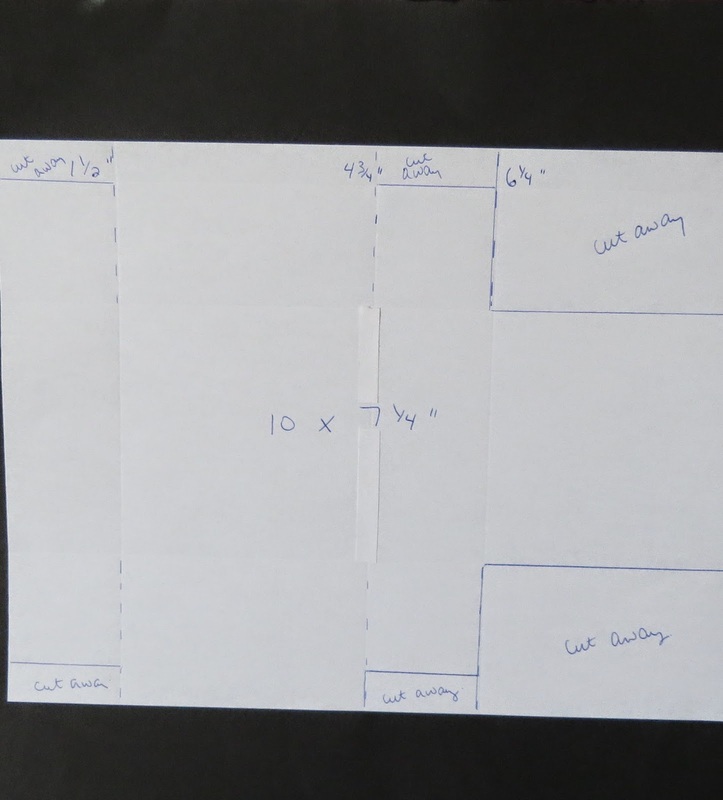 Score the 7-1/4" side at 1/2", 2", 5-1/4" and 6-3/4". Score the 10" side at 1-1/2", 4-3/4",6-1/4" and 9-1/2". Cut following the picture. I did a better job on my video so I recommend you watch that for further clarification. I used the Watercolor Wonder Designer Series Paper and Summer Starfruit 1-1/2" Striped ribbon on my box.